What are birthdays without birthday cakes? This delightful dessert is a classic one that brings back nostalgic memories to one’s guests, and brings people together- besides being delicious, of course. What better way to celebrate a birthday, a wedding, or any event, than with scrumptious and aesthetically pleasing birthday cakes. Zurina’s Cakes specializes in customized homemade contemporary birthday cakes and celebration cakes. Don’t let the word ‘homemade’ fool you, because Zurina’s Cakes are especially impressive- we’re not exaggerating, just look at the pictures. Layers of fondant, sugar roses and pearls envelope tiers upon tiers of rich butter or chocolate-flavored cakes. Cake recipes are sourced from experienced bakers and tweaked according to your preference to ensure that the cakes stay moist and scrumptious throughout the event. Zurina’s Cakes specializes in two flavors- pure butter and chocolate. Zurina’s Cakes website has a gallery of various birthday cake designs for boys, girls, babies, and adults. Cakes for both boys and girls are also available. Children would be pleased with the adorable designs- some inspired by Disney, and others designed by Zurina’s Cakes. One cake can feed from 20 to 90 pax, depending on the size of the cake, and the number of tiers. Cost ranges from RM180 to RM400. 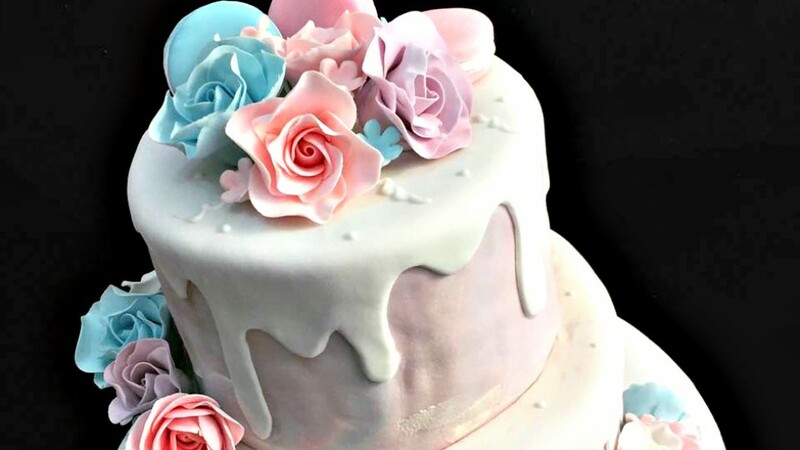 Zurina’s Cakes creates contemporary cakes for engagement parties- and these are especially aesthetically pleasing; tastefully decorated with sugar roses, icing, and fondant. An engagement cake can serve up to 30 pax, and cost ranges from RM240 to RM350. Wow your guests with Zurina’s Cakes romantic, vivacious, and genuinely pleasing wedding cakes and cupcakes- decorated to the very last sugared-rose embellish. Picture-perfect wedding cakes are also available for rent. Cost for wedding cakes range from RM500 to RM1000 per cake. Cost for rented cakes range fro RM330 to RM520. Zurina’s Cakes isn’t just limited to birthdays, engagements, and weddings. Cakes and cupcakes for any occasion are also available on their website. You may find cakes for Christmas, Hari Raya, Chinese New Year, Deepavali, and Graduation, besides every other design. Cost ranges from RM100 to RM230 for a cake that serves between 20 to 30 pax. Treats for teatime are also available- with delicious chocolate chip cookes, butter cakes, pineapple tarts, and brownies ranging from RM35 to RM100. Cake deliveries are only available on weekends and public holidays at Bangsar Shopping Centre, KLCC, Subang Parade, and Tropicana City Mall from 10AM to 12PM. Cakes may also be collected from Zurina’s Cakes home address at Putrajaya (any day and any time), or from Surian Tower at Mutiara Damansara (by appointment only).